Earlier this week, redditor Bystander007 calculated that to see everything in For Honor, you’d have to pay $732, or play it for around 2.5 years. Ubisoft has now responded to the criticism by saying it never intended for people to unlock absolutely everything. 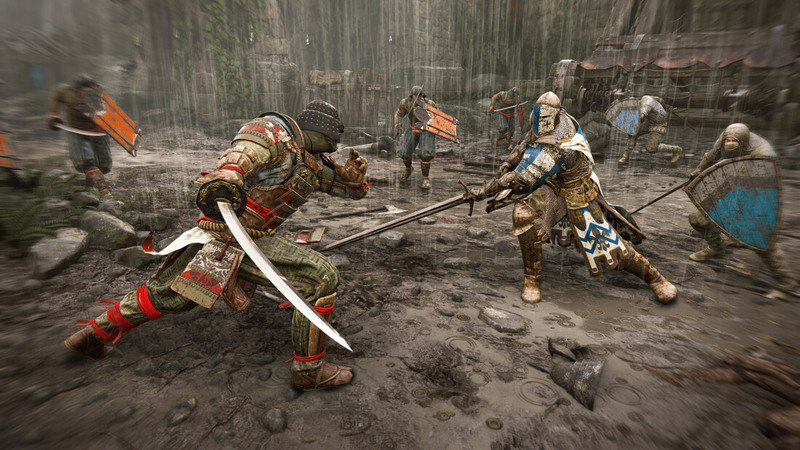 Speaking on the ‘Warrior’s Den’ livestream, For Honor game director Damien Kieken defended the microtransactions, which Ubisoft also implemented in some of its full price Assassin’s Creed titles. Kieken goes on to say that most players focus on between 1 to 3 characters, and that the microtransactions are designed around this. He added that the unlockables are regarded as endgame content that “we want you to unlock after playing for several weeks." Kieken compares the situation to going into a shop where you don’t want or intend to buy everything. But then you wouldn’t be paying $60 for the privilege of entering said shop. Comparing For Honor to MOBOs doesn’t hold up either; microtransactions are accepted in free games like League of Legends and Dota 2 as it’s how they make money. Jump to the 23:30 mark in the video below to see the Kieken interview.